Beirut, Dec 29, IRNA – Security Office of Lebanonˈs Army has released a person who was arrested on suspicion of having a hand in the recent terrorist attack near Iranian embassy in Lebanon, it was announced on Sunday. The released suspect, identified as Mustafa H, is said to be a supporter of Takfiri Sheikh Ahmad al-Assir. Lebanese El-Nashra website said the political leader of an Islamic group in South Lebanon, Bassam Hammoud made a lot of efforts to release Mustafa H.
Twin blasts in front of Iranˈs embassy in Beirut on November 19 killed 25, including Iranian cultural attaché in Lebanon, leaving some 150 others wounded. 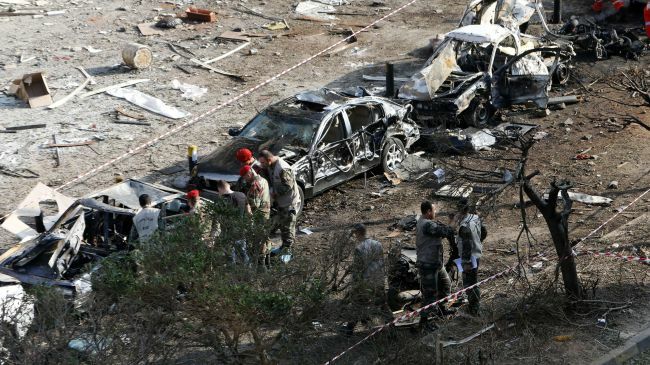 Siraj al-Din Zariqat, leader of the terrorist group ˈAbdullah Azzamˈ which claimed responsibility for the attack, in a recent 14 minute-audio message on the groupˈs twitter page, once again threatened Iran and Lebanonˈs Hizbollah Movement.